1. 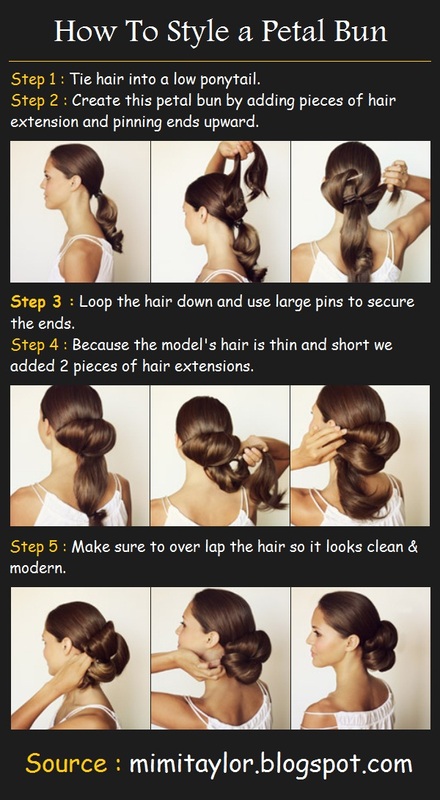 Tie hair into a low ponytail. 2. Creat this petal bun by adding pieces of hair extension and pinning the ends upward. 3. Loop the hair down and use large pins to secure the ends. 4. Because the model’s hair is thin and short we added 2 pieces of hair extensions. 5. Make sure to over lap the hair so it looks clean & modern.